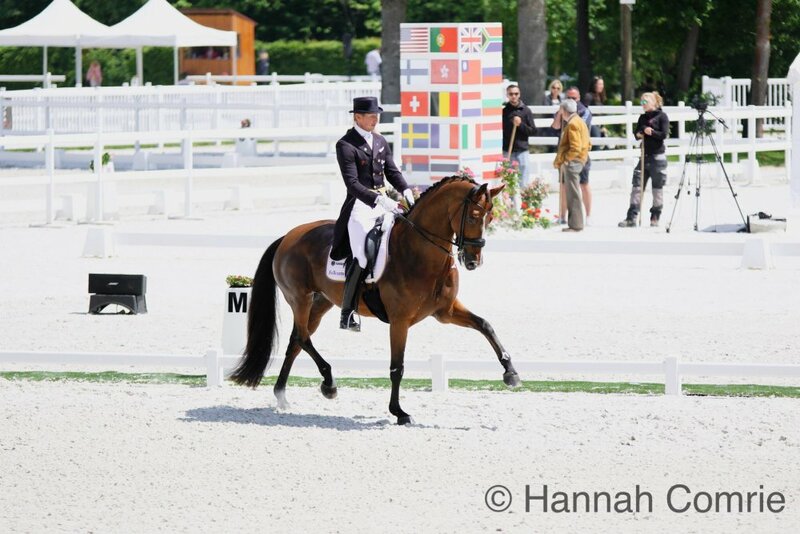 News | Team Sweden takes convincing gold in Compiegne with entire team from Outstanding Stables! Compiegne is always a lovely and well organised competition and is always on the list of competitions to compete at. This weekend we had a massive weekend for Outstanding Stables with myself riding Welldone and training Lyndals Ellie, and then Antonia and Juliette Ramel, Rose Mathisen and Mary Hanna all competing also. Well Done is really developing to strength and confidence and this competition it was beginning to show in the arena. The hot sensitive mare certainly tries her heart out and I am very proud of the horse she is .. and is becoming. With her owners there to support, Welly did a great job in the Grand Prix to finish 3rd with over 74%, and then produced the warm up of her life to date to keep a lid on it in the electric arena surrounded by a super supportive crowd in the Freestyle to finish second with over 78%. 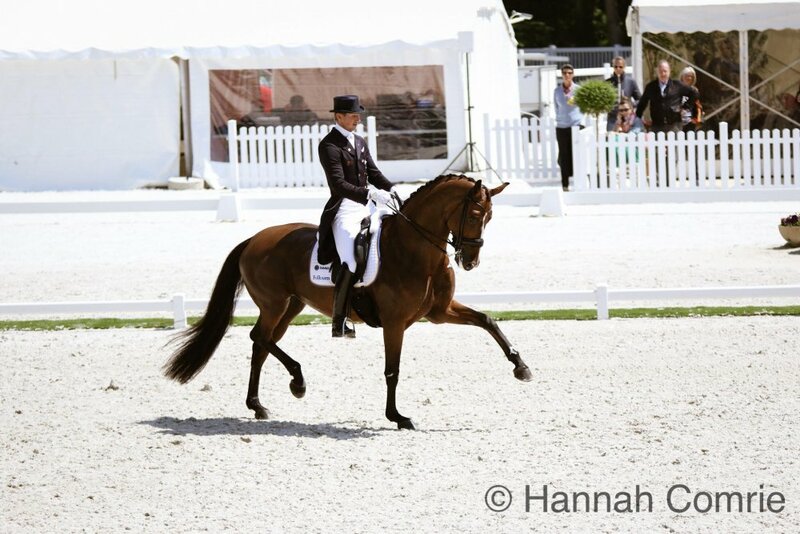 In the Nations Cup I could not have been more proud of all my students. Watching Antonia make her team debut on Bro was a highlight, and she went above and beyond for the team with her scores counting to the team Gold!. 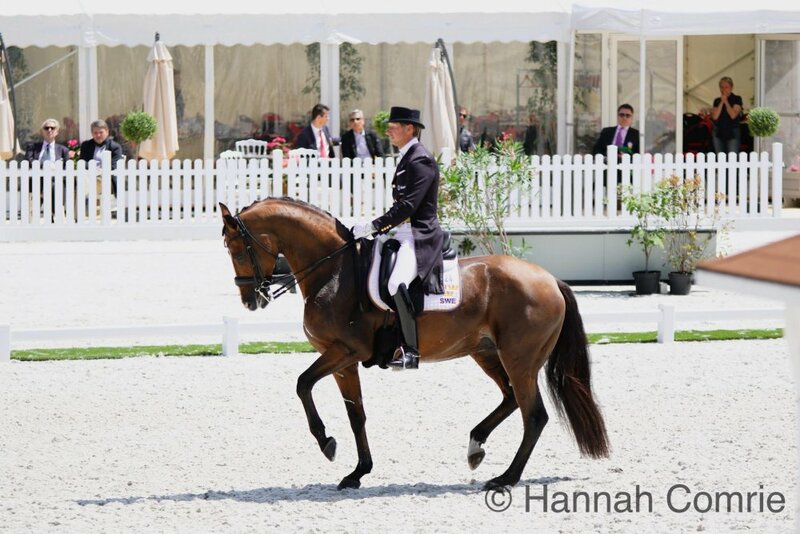 The duo produced two very good tests in both the Grand prux and the Special, to achieve scores of 72.326% and 5th in the Grand Prix and 72.596% and second in the Special. Antonia rode with new confidence and poise and did a super job!!. Juliette is in flying form with the equally talented Buriel. The pair notched up another win in the Special with over 75.5%, and came second in the Grand Prix with a score of 74.783%. This pair has talent to burn and has alot left to offer. That said wow did they produce some exciting moments, evening scoring some 10's on their final centreline!. Rose rounded up the team showing greater continuity in the arena. The pair are beginning to show the form I know they have. 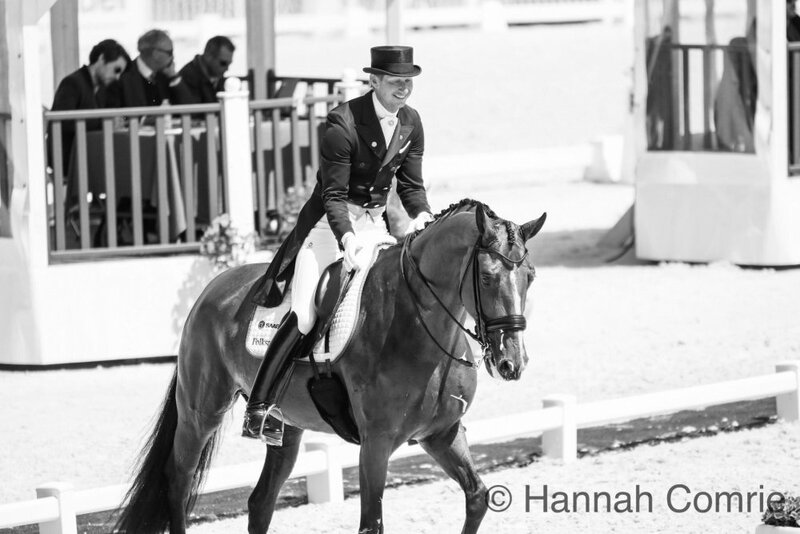 Rose finished in 7th position in the Grand Prix with over 71% with some costly mistakes, and then performed a very good freestyle for over 74%. Rounding up the weekend was Mary and Boogie and Juliette on the young gun Wallstreet. Mary had unfortunately a few costly mistakes dragging her score down despite many highlights to finish just under 67% in the Grand Prix. The Special was better, but not the form these two have been showing and we will regroup and be ready to roll for Aachen. Juliette and Wallstreet are a new addition to the International circuit. This talented horse has alot in him, just needs the miles and routine to really show what he is capable of!.